Image Size: 18 X 22.75 in. "Sis planned her Trick-Or-Treat outfit for weeks; changed it, altered it and refined it until she was satisfied with the elegant result. 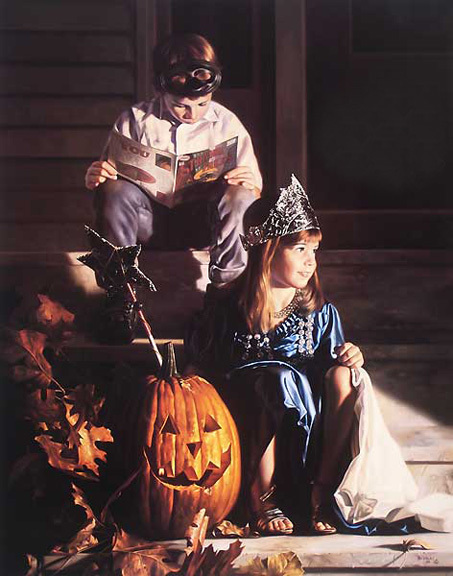 Oh that long wait until dark when the ritual of Trick-Or-Treat could begin. Just one flaw, her mother said she was still too young to go by herself and assigned her big brother to accompany her."